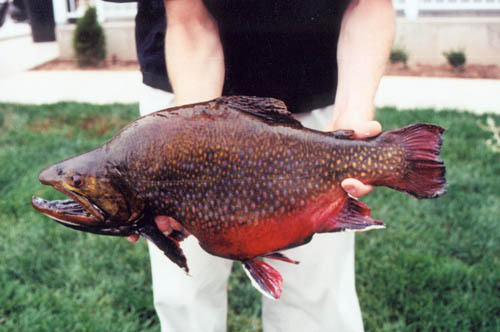 Thats a huge brooke trout. I’m guessing this fish was in a stocked or managed lake or stream. Is it? If not what does he wieght and is it a record? 20 " inches long and 19" long around the girth. Best girth I’ve seen. That looks like a boulder mountain brookie. Am i correct in assuming so? where did you get that brookie mounted? phone #?website? it looks like a skin mount by the looks of the fins and fish, really awsome mount!